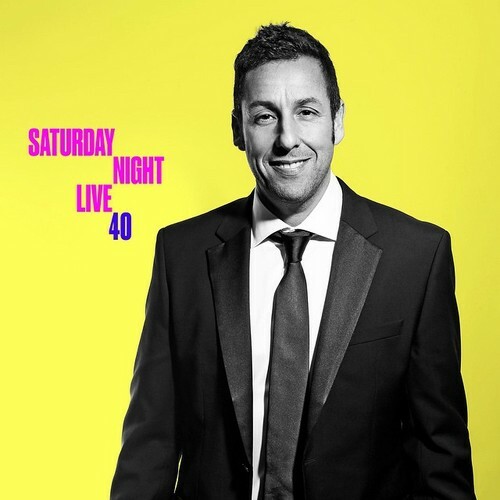 Adam Sandler @ SNL's 40th Anniversary Special. Photo bumper of Adam Sandler's arrival at the SNL 40th Anniversary Special on February 15, 2015.. Wallpaper and background images in the Adam Sandler club tagged: saturday night live snl 40th anniversary snl40 photo bumper 2015 adam sandler. This Adam Sandler photo contains business suit, suit, suit of clothes, and double breasted suit. There might also be single breasted jacket, well dressed person, suit, pants suit, pantsuit, and slack suit.